By Chelsea Jensen West Hawaii Today cjensen@westhawaiitoday.com | Saturday, January 19, 2019, 5:05 p.m.
KAILUA-KONA — Scores of people took to the streets Saturday for the Kona Women’s March. The women, men and children joined others across the nation and world on the third anniversary of the 2017 Women’s March that served as a rebuke of President Donald Trump’s policies. The third anniversary of a 2017 march? Math must be more of that white privilege stuff. Like, you know, Math be HARD, ……..duh! Appears to be exercise for seniors day, but seriously this group has shown itself to be more interested in promoting anti semitic views. 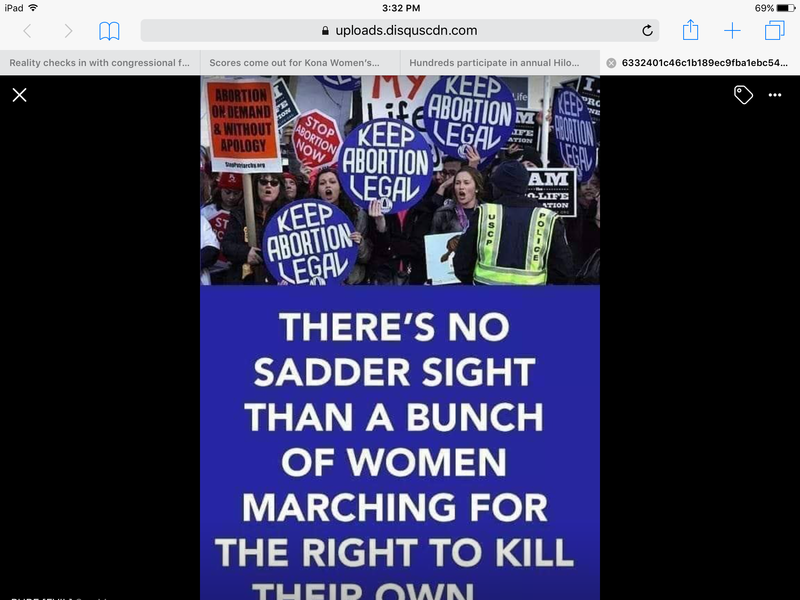 Scores of people, thats funny almost 1/10 of the march for life crowd it seems most are now seeing the hate in these so called womens march. More like a muslim march against womens freedom and the marchers are so ignorant they dont see it. I seen her on my lunch break wanted to honk for that women but I was on the other side of the street. It’s too bad most of us other “pro-lifers” have to work and got lives to run unlike those crazy liberals spewing non-sense rhetoric! Good job lady! All lives matter! “Scores”, eh? That’s some widespread movement you’ve got there. I surrender. PS: You’ve could have shown the “scores” but opted for two post middle aged cat lady. Not sure which is more pathetic. Didn’t look past the first picture, did ya? approximately 26% of Hawaii’s population is white. I don’t see many of the other 74% in the crowd. I wonder why ? 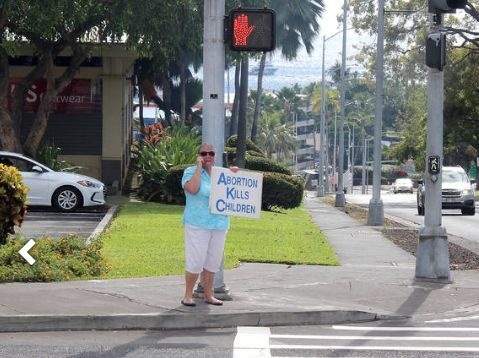 Transplanted older white liberal mainland womyns trying to poison Hawaii with their hatred. Only looked at the first picture, did ya? Rebuking Trump’s policies or a few women supporting abortion and hatred of Jews? A few dozen maybe. I drove by and shot a bit of video in case some bogus claims show up from the shufflers and WHT. Glad some of those women got a bit of easy exercise for a change..
Yep, shame on those citizens for getting out in the street and taking part in their democracy by voicing their opinion. Better they hide behind their computer screens in anonymity and puke out partisan barbs. You don’t seem to have any problem with ‘partisan barbs’. Certainly; however I am saddened at the type of discourse that I continuously read in the comment section from my neighbors. If my comment offered you, I apologize. Classy response, showing integrity and good character. I am for women’s “rigts” too, brother. Now let’s go buy some Gillette products to give to our wives’ boyfriend. But do they rebuke the anti Semetic Jew hating leaders of these Marches? Likely NOT! Wow, the march sure brought out the trolls and the haters. I guess their sensitive masculinity was threatened. MAGA Snowflakes do melt in the sun. In case you don’t know, this is a picture of a 10 year-old boy, who is being made famous by the Queer Community! 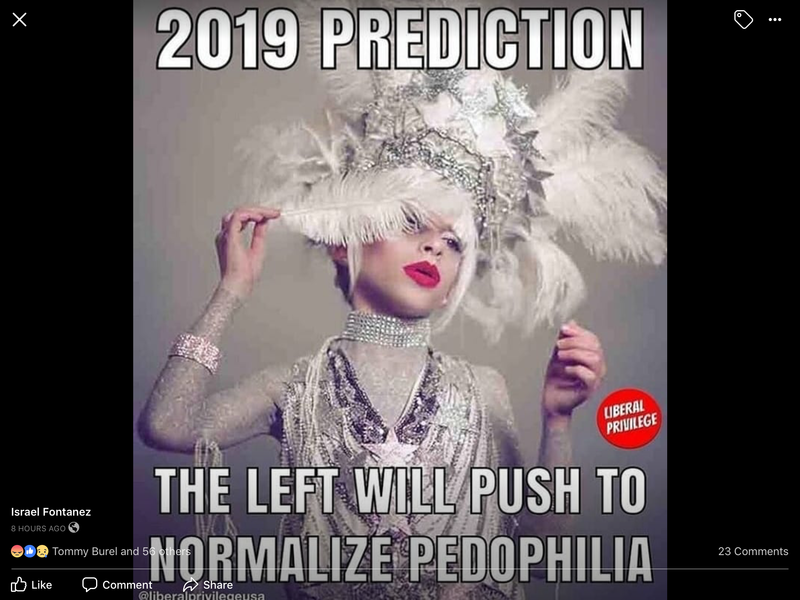 Liberalism is a sexually-perverted mental disorder which is be inflicted upon children and is being called normal! 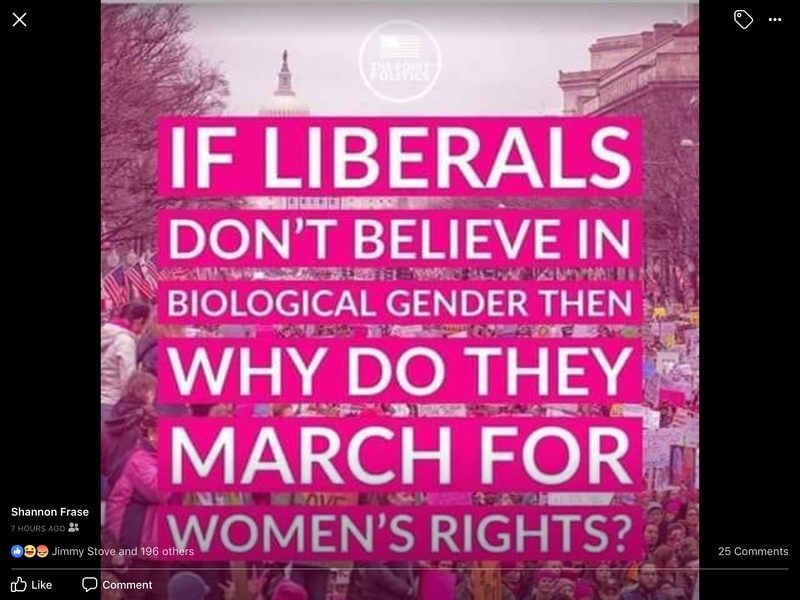 The Women’s March is all about abortion! From the comments I read here it seems like Hawaii has a lot of hate-filled white men right-wingers reading the newspaper. And I was under the impression that the Islands were filled with progressive thinkers. Have I been mislead all this time? You just joined Disqus today to attack your political enemies? This is your first and only post. Who sent you here, or what is your usual ID? Disloyal quasi Americans , shamelessly on parade . If these people have their way America will cease to exist .